Ubuntu is a popular Linux operating system which mainly focus on desktop applications.And it begun to move a new field:mobile. Ubuntu has just released a mobile version of the operating system in its official home page.The system is completely free open source, and is divided into two versions of the "regular edition" and "Premium".Regular edition phone configuration requirements are lower, but the functionality is limited. System uses full gesture operation.Corresponding to each edge of the screen will be different operation. 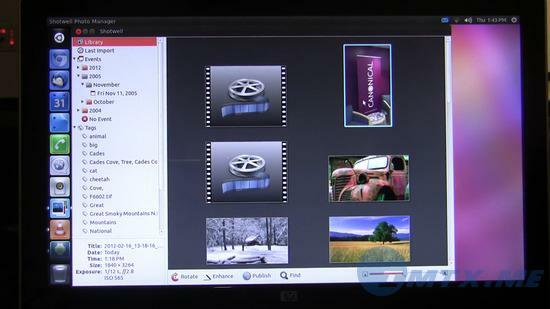 For example, Short in the left edge of the screen, slide your finger can exhale program menu; Slide from left to right side of the screen can display the current opened applications, etc. 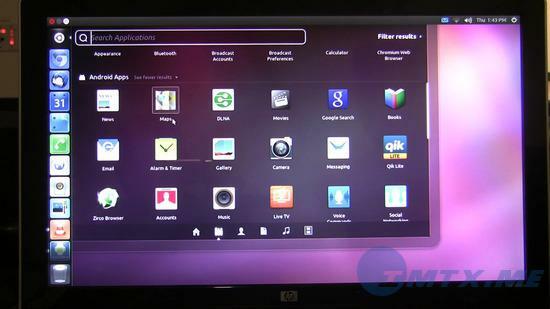 And Ubuntu also released Android version. You may wonder Android itself is an operating system, why one more OS? As the mobile terminal increasing powerful performance and most smartphone are equipped with multi-core processors at present. Ubuntu for Android Give aimed to fully play to the performance of mobile terminal to meet the needs of individuals or businesses for the mobile office.It means your smartphone with Ubuntu will turn into a computer when connected with display. If you still confused what is Ubuntu for Android, you may click here for information at Wikipedia.You must be very interested in this. Now let's see how it work. When you Android into Ubuntu mode, you can open Shotwell to browse pictures on Android. 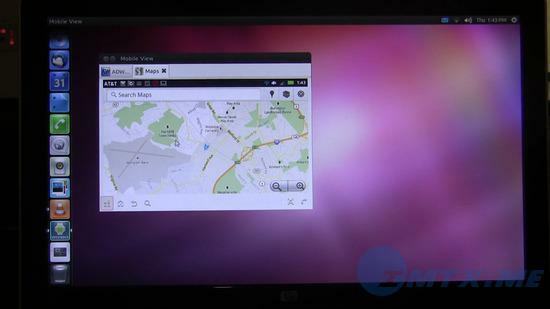 You can also search directly inside Unity's Dash:pictures, video, and open with Desktop software. You can use the apps directly in App Lense of Unity. And how does Android apps show in Ubuntu？It depends on a software named "Mobile View", which can be used to show or operate Android apps. 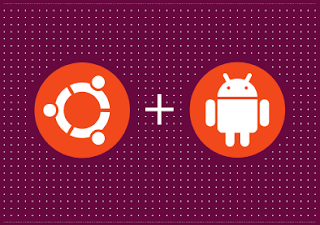 The deep integration between Ubuntu and Android is also reflected that you can search contacts, view recent call records etc. If you choose one contact, it will call the Android Contacts application to do more detailed view. And if your Android phone is receiving a new message, the desktop notification feature will note you that a new message is coming. You have guessed that it's slow to reply using a mobile phone, you can go with Ubuntu by using Android SMS tool to give a reply. Computer keyboard will be faster for this. 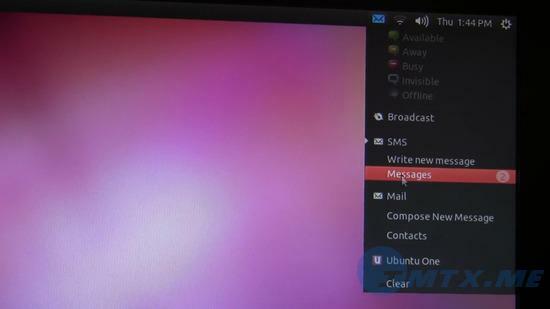 This picture shows the Ubuntu Message Menu is depth integrated with Android messaging application, two unread messages show directly. Then start Android App to read the two new message. 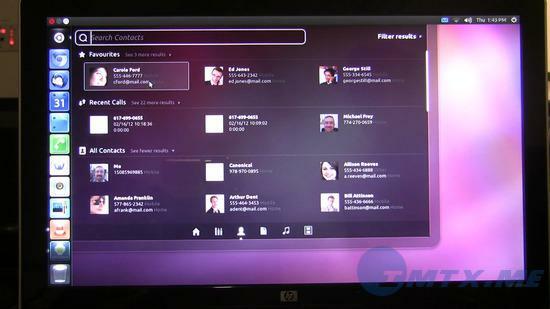 Another worth mentioning interesting point is that Ubuntu can be used to the office, programming, Internet etc. 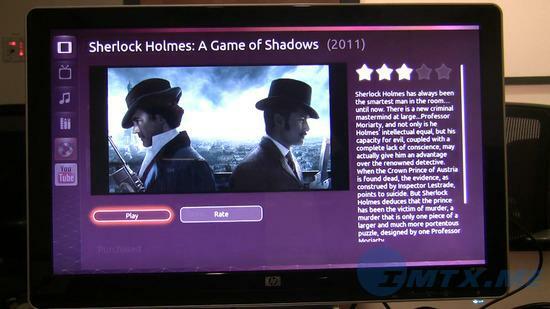 And you can turn it into a Ubuntu TV at your rest time for entertainment. So after reading these, I think most of you will be interested in Ubuntu for Android. 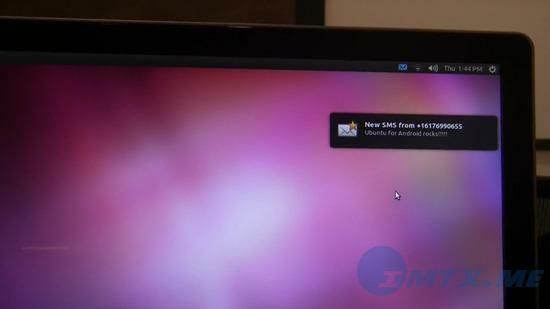 It creates a new way for us to play linux on Android. It turns a Mobile terminal into Multi-function, multi-scene equipment which be used for everyone. Just imagine, There is no need for all work to be done with PC. People may only occasionally use the PC, and the PC's mobility has been a troublesome issue. Equipped with a screen, keyboard and Dock, you just need to put your Android phone on the Dock to give your PowerPoint or something else. The Ubuntu phone is expected to go on sale at the end of 2013. Let's look forward this new OS smartphone.